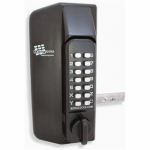 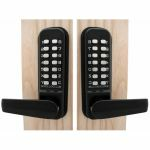 The gate code lock is a new unique product which combines two marine grade keypads with a special lock case with anti-ligature features and an adjustable latch bolt designed to fit metal and timber gates of various sizes and types. 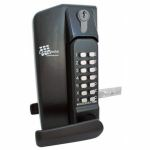 It is perfect if you want to have a secure courtyard or gated area of your premises. 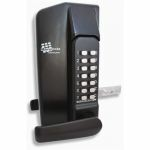 These self-locking systems are constructed to be adjustable so are fully reversible for left or right handed gates. The keypads are preset to the same code but can be easily changed to different and separate combinations often as you wish, so if you're getting fed up of that one person who keeps walking through your gates without a reason, you can simply change the code to stop him passing through again (evil tactics!) 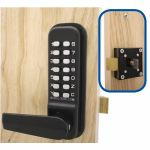 From well-established brands such as Borg Locks, these products are very competitively priced and offer high quality reliable and durable features, so it's difficult not to miss out on great offers! 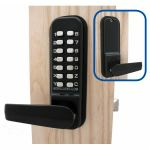 You can browse here or if you are looking more specifically to fit your code lock to a timber or metal gate, you can browse those categories narrowing your choices to make it even easier to find what you are looking for.